•   12 ISSUES FOR $40.99! •   15% OFF THE COVER PRICE! •   DELIVERY DIRECT TO YOUR MAILBOX! •   12 ISSUES FOR $55.99! •   12 ISSUES FOR $124.99! 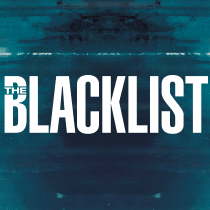 THE BLACKLIST ™ and © 2016 Sony Pictures Television Inc. and Open 4 Business Productions LLC. All Rights Reserved.